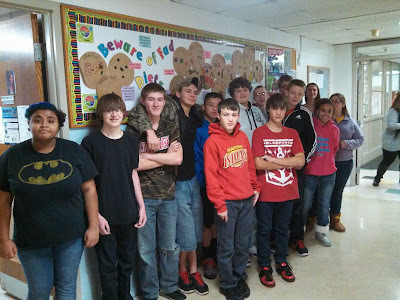 This year my Food and Nutrition students collaborated with our school nurse to do a bulletin board about fad diets. After learning about what a balanced plate should look like (according to USDA guidelines) students researched a fat diet and drew what a plate would look like. Needless to say there was not a lot of balance! We posted the plates and fad-diet tips on the bulletin board near the nurse’s office with MyPlate pictures that I cut from free hand-outs. You can download the fad diet tips here and the fad diet research worksheet here. Too often my students think that a career in foodservice means flipping burgers for the rest of their lives. What I tell them is that yes, you will start flipping burgers. But if you demonstrate the skills you learn in your FCS classes and are a hard worker, you will quickly move up the pay scale and career ladder! Assistant managers at McDonalds can make as much as a first-year teacher and have excellent benefits. There are dozens of other exciting careers for students interested in Family and Consumer Sciences. One career that I especially endorse is my own! My graduating class at Iowa state had, and has had for several years, a 100% job placement rate. There are currently 14 openings in Iowa alone! My job is exciting, creative, and different every day. 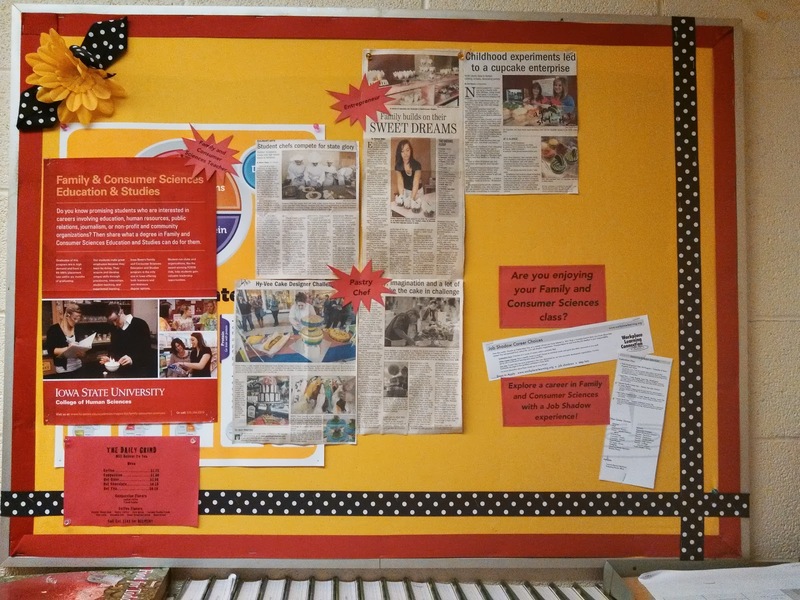 I collect newspaper articles on my bulletin board for students to explore culinary careers. Next to each article I make a star with the job title next to it. I also highlight job shadow experiences in the family and human services field. You can view the Google document that I used to make the stars for my bulletin board. Download a copy for yourself and change the career titles to fit the articles you find! Google also likes to change my fonts so you can personalize those as well. Do you have Pinterest? Follow me on Pinterest or check out my Classroom Posters and Organization board.